Also any volatility in crude oil prices will continue to affect the rupee, which has weakened for two consecutive weeks. Nifty has been able to eke out gains based on a select few bluechip stocks. The ongoing third quarter earning results, budget expectations, developments in the US-China trade relations and the Brexit issue will chart the course of the markets in the weeks to come. "Traders should trade cautiously for the next 10 days as markets prepare and discount budget expectations," said Sahil Kapoor, Chief Market Strategist, Research, Edelweiss Wealth Management. The NSE Midcap Index has closed at a five week low and is beginning to witness broad based selling. Nifty on the other hand has been able to eke out gains based on a select few bluechip stocks. The quarterly results will remain in focus in the upcoming weeks as major third quarter results by Kotak Mahindra Bank, Maruti Suzuki, Larsen and Toubro, Yes Bank, Asian Paints and ITC is scheduled to be announced. "Trading woes will be dictated by the upcoming interim budget with investors preparing to reshuffle their portfolio according to their expectations." said Rahul Sharma of Equity99. In November, the Bank of England had warned that a no-deal Brexit can cause a recession worse than the 2008 financial crisis. After the Brexit deal was rejected by British Parliament with a significant margin, investors will keep a close watch on developments in the same. On the partial US government shutdown, New York Federal Reserve President John Williams has raised a red flag saying that the shutdown is an emerging headwind to the economic growth. The prolonged shutdown is causing uncertainty among the investors. According to Viral Berawala of Essel Mutual Fund, investors awaited the next steps for the UK after Prime Minister Theresa May's government narrowly survived a no-confidence vote. Losing the vote has made it harder to have a smooth Brexit. Regarding the US-China trade relations, Berawala said that reports of Beijing offering to ramp up imports from Washington and the latter considering to lift some tariffs on Chinese products would boost the global investor sentiments. "The Nifty would need to convincingly close above the recent highs of 10,931, for it to move towards the 11,200 levels in the coming week; else range bound price action could continue. Crucial support to watch in the coming week for weakness is 10,692," Jasani said. 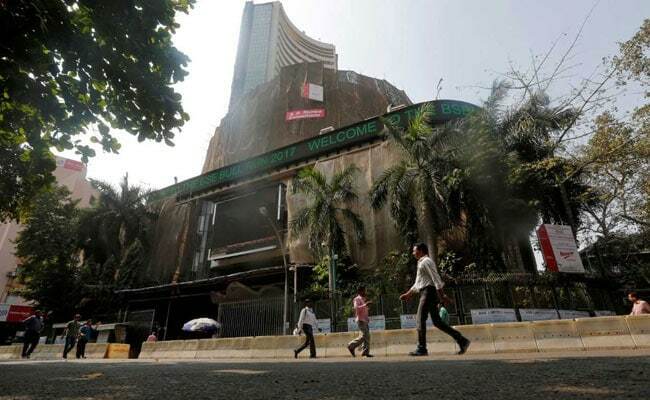 The S&P BSE Sensex gained 376.77 points, or 1.04 per cent, to close at 36,386.61, whereas the Nifty gained 112 points, or 1.04 per cent, to settle at 10,906.95 during the week gone by. The rupee continued to depreciate for the second week on the trot, as it weakened by 69 paise to Rs 71.18 against the US dollar from its previous close of Rs 70.49. Provisional data from the BSE since the start of year showed that foreign institutional investors offloaded stocks worth Rs 2,318.76 crore as against domestic investors buying Rs 1,842.31-crore shares.